Staten Island Zoo - Are We There Yet? The Staten Island Zoo was opened in Barrett Park in 1936. 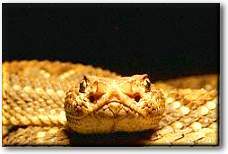 Its primary focus was reptiles, especially snakes, and today the Zoo's Rattlesnake Collection remains one of the largest and most complete in the country. With a collection of North American mammals, a new Aquatic Exhibit, and a Children's Center with domestic animals to feed, the Staten Island Zoo offers a full day's enjoyment for individuals, families, and groups alike. In addition families should watch for the many education programs, workshops and events that are offered throughout the year. The newly opened African Savannah at Twilight is a wonderful exhibit that reveals the marvels of the African Plains. The dramatic environment created here is the result of years of planning and development, and visitors will enjoy exploring this unique habitat with its fascinating inhabitants. It's Alive! (grades K - 2) demonstrates the difference between living and non-living things and the interrelationships of plants and animals. Dinosaurs and Dodos (grades K - 2) explores species extinction, past and present, and possible solutions to the problem. Animal Behavior (grades 3 - 12) teaches why animals behave as they do. Tailored for age group. Careers With Animals (grades 3 - 12) explores the diverse occupations that involve working with animals. Tailored for age group. These and other programs are fun, interesting, and help kids learn more about the world we live in. Hours: Open 10am - 4:45pm daily. Closed Thanksgiving, Christmas and New Year's Day. Admission is FREE every Wednesday from 2pm - 4:45pm. Donations appreciated. Call to confirm hours and fees. School Programs cost about $150 per class of 30. Call for details. Group Reservations: At least 6 weeks in advance. 8 weeks or more if you want to have a school program tailored to your needs. Lunch: Picnic area available, refreshments served.. Directions: From New York: I-278 West (Brooklyn-Queens Expwy) to Verrazano Bridge. Cross bridge and continue to Slossen Ave, exit. Turn right onto Slossen and proceed to Martling Ave. Turn right and go to Clove Rd. Entrance is ahead, with free parking on right. Note to bus drivers: The zoo has two entrances: the front gate at 614 Broadway and the back gate at Clove Rd. and Martling Ave. Broadway is usually less busy and bus can unload here, park at Clove and Martling.